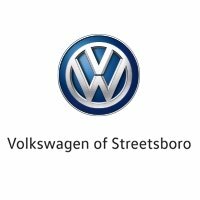 Volkswagen of Streetsboro wants every driver to enjoy the experience that comes when sitting behind the wheel of a new car, truck, or SUV. We work with numerous financing companies in the area, broadening the chances of an auto loan approval, even when credit issues are present. Of course, we offer great rates for our customers with great credit. No matter which category you are in, we’d love to help you finance a new car. It feels good to own a new car and may help rebuild your credit. Our team of finance experts will help you every step of the way, as we know vehicle financing can sometimes be strenuous. If you’re ready to drive, we’re ready to help make that a reality. Is Vehicle Financing a Good Idea? Drivers who want to buy a new car but who don’t have the total amount of the car in cash on hand can use the financing to buy the car. When you finance a car, the lender pays off the vehicle and you repay the money in small monthly increments. Although financing has its quirks, the advantages are tremendous and far outweigh any negative aspects that auto financing could bring. When you finance a vehicle, you’ll enjoy stress-relief since you’ll enjoy a better car than you’d otherwise been able to afford. When you finance, it offers the chance to improve your credit. Any driver who has less than perfect credit should strive to improve it every chance they get. Vehicle financing provides a great opportunity for credit improvement. It is much easier to finance a vehicle than lease as well. There are many reasons why it is a good idea to finance a car. Credit is important when buying a car without the upfront cash. However, do not assume that you’ll only get approved for a loan if your credit is perfect. We understand that bad things happen to good people. Sometimes those bad things impact the credit score. Since we work with a variety of lenders, it is easy to help people finance a car even if their credit is not perfect. Obviously, drivers with the best credit scores get more financing opportunities and better interest rates, but that doesn’t mean we cannot help other drivers as well. The sooner you complete an application, the sooner we can determine if we can put you behind the wheel of a great automobile. It is what we love to do!